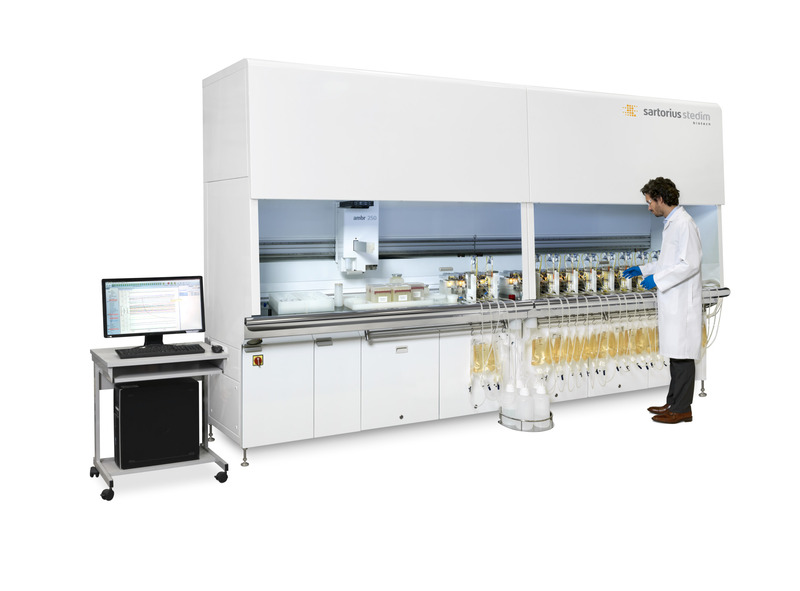 ambr® 250 high throughput perfusion is a parallel bioreactor system for rapid development of scalable perfusion processes using 100 – 250 mL single-use bioreactors and a fully automated liquid handling platform. The system supports the typical range of hollow fibre cell retention applications, with up to 24 fully single-use perfusion bioreactors in parallel. This step change in perfusion process development capability dramatically accelerates the optimization of intensified cell culture processes leading to lower production volumes and reduced cost of goods. 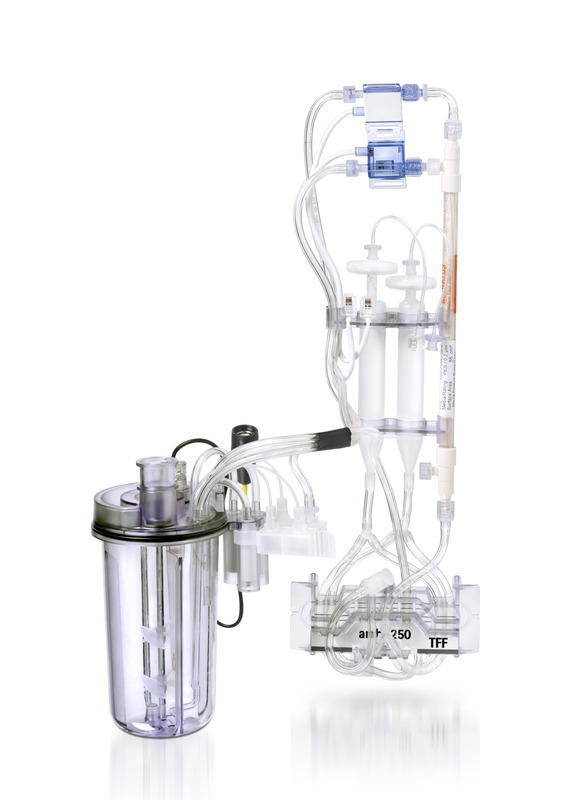 ambr® 250 high throughput single-use perfusion bioreactors are available including all components required for perfusion culture, fully assembled and irradiated. Single-use perfusion bioreactors significantly reduce staff time needed for set-up and cleaning, and enable rapid system turnaround, increasing system utilization efficiency and reducing development timelines. Fully assembled and irradiated components further reduce set-up time and minimize risk of lost experiments. The single-use perfusion bioreactor includes a high efficiency multi-hole sparger capable of supporting very high cell densities. 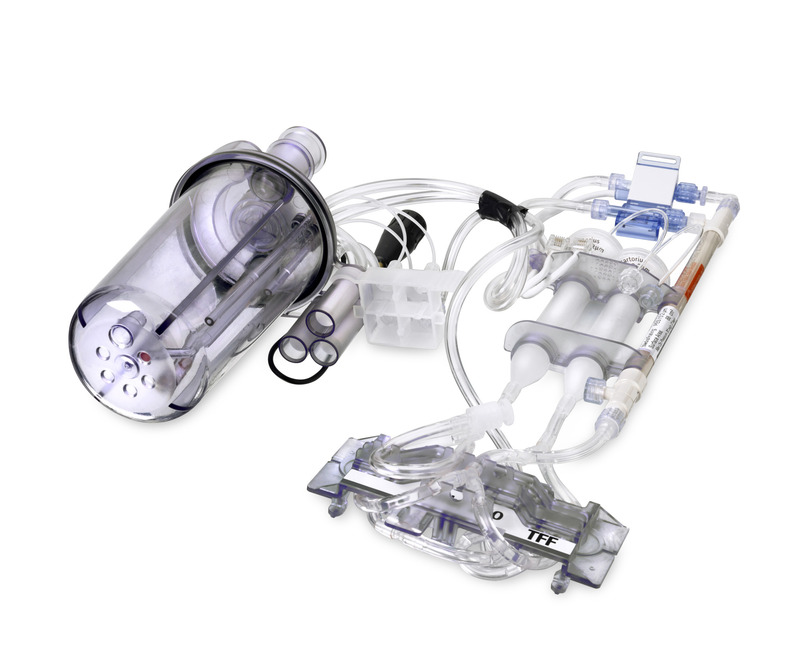 Two dip tubes allow flow of culture to and from the perfusion pump and filter, plus automated bleeding and bleed-to-level functions. Single-use pressure sensors connect quickly to the perfusion towers and continuously monitor pressure at the culture fluid inlet and permeate outlet, enabling online monitoring of transmembrane pressure. Single-use pump chambers are used to drive the exchange of culture fluid between the bioreactor and the hollow fibre filter. The pump chamber assembly includes retaining clips for the cell retention filter and snaps quickly and neatly into place on the main system perfusion tower. The single-use pinch valve cassette slots into place on the ambr® 250 deck at the base of the perfusion tower. Four pinch valves guide the flow of fluids through the perfusion tubing set and enable automated bleeding functions.